MAKE A RESERVATION NOW: +1-541-499-2960 or by email. For beautiful, casual living, Beau Soleil Vacation House is an elegant, self-contained cottage located in Ashland, Oregon. Beau Soleil comfortably accommodates up to four guests, with a fully equipped kitchen, central air, off-street parking and WIFI. Read about Beau Soleil's amenities and history. STAY IN THE HEART OF THE RAILROAD DISTRICT! BEAU SOLEIL VACATION HOUSE is located in Ashland's historic Railroad District, one-and-a-half blocks from downtown and "A" Street markets, bistros, galleries, restaurants, shops and offices, just a quick stroll from the Oregon Shakespeare Festival and other theaters for stage or movies or "the jewel of Ashland," Lithia Park. Plan your Ashland ski vacation! Visit the Mt. Ashland webpage to find information about this season. 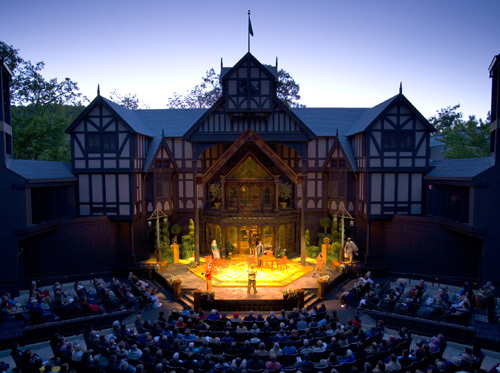 The Oregon Shakespeare Festival is a not-for-profit professional theatre founded in 1935. Their season runs from February through early November. The festival boasts three theatres: two indoor stages and the flagship outdoor Allen Elizabethan Theatre (pictured), which opens in early June and runs through mid-October. Check out their website here! 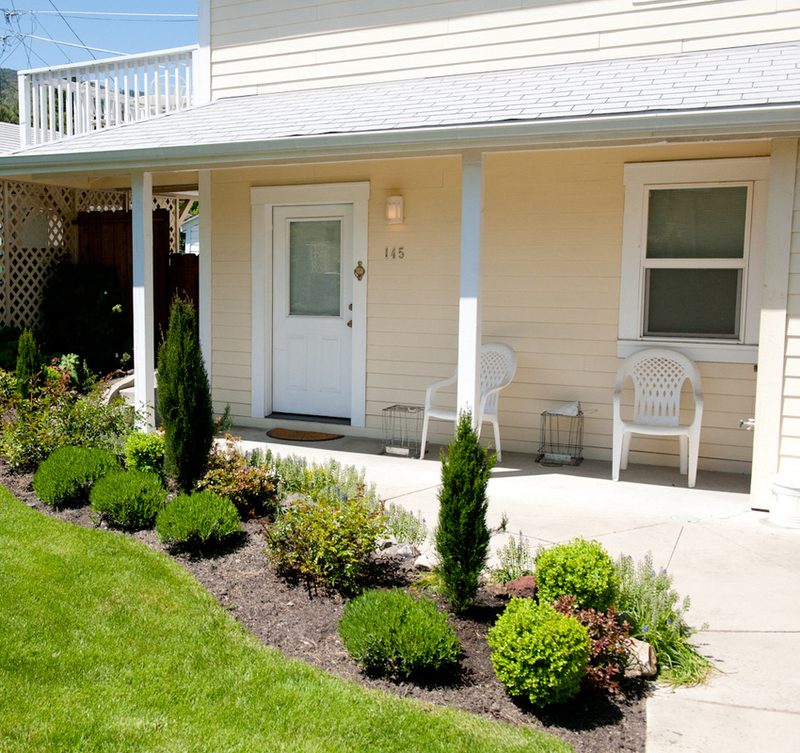 BEAU SOLEIL COTTAGE (or VACATION HOUSE) provides transient-occupancy lodging as a licensed business in the city of Ashland and in the state of Oregon. City of Ashland Planning Action Number 00-04.